Although it is still summer, we are already thinking about the next fall trends. 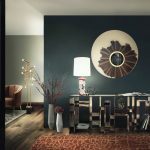 This season is always a time for changes, to refresh and create a modern interior design. 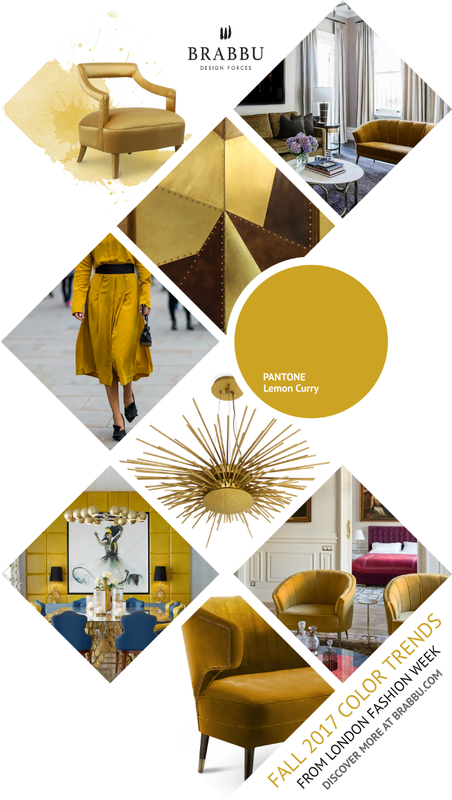 We would like to show the color trends selected in New York and London Fashion week, featuring Brabbu´s exquisite pieces! 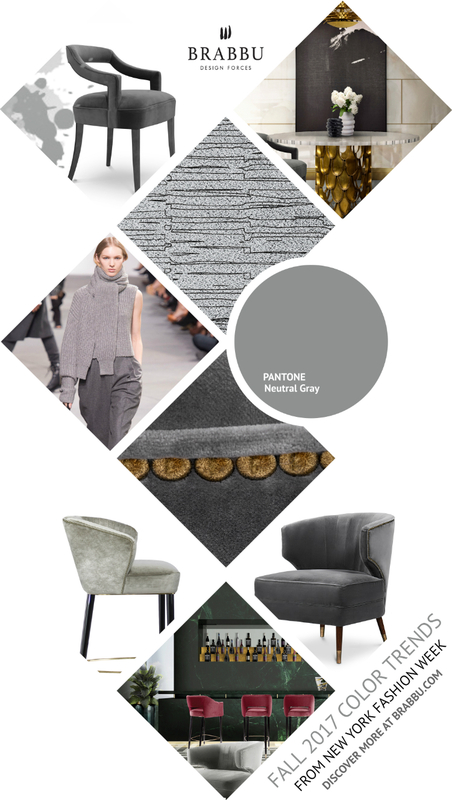 According to PANTONE, one of the colors that will rock this fall is light/neutral grey. As one of the Brabbu’s armchair IBIS, just represents this color in its unique way. Ibis are beautiful birds, known for their long slim legs. The IBIS ARMCHAIR was inspired by this natural elegance, with all the refinement of velvet in a unique upholstery piece. Just having light grey colored furniture pieces in your home, you will delight your home with upcoming fall colors this year! Lemon curry will rock on this fall, no doubt! Darker shade of orange/lemon gives a warm and welcoming feeling once you are at your home. 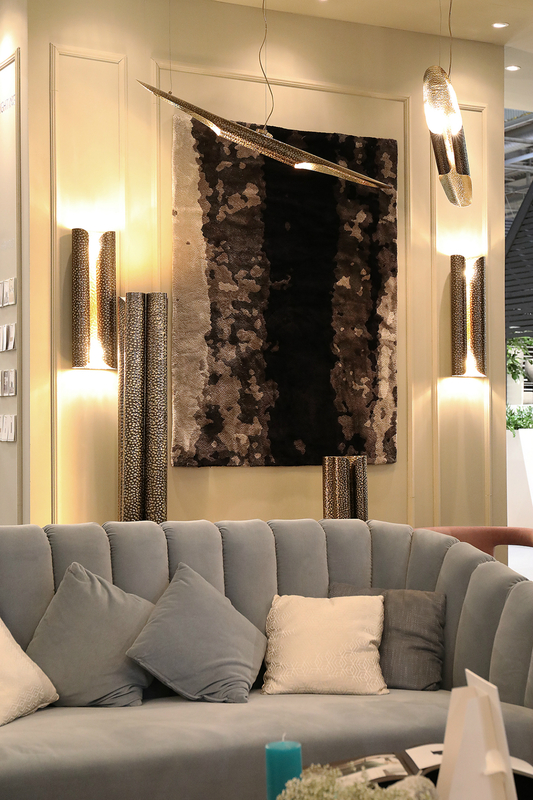 Brabbu introduced velvet MAYA sofa as it expresses a perfect harmony and it is the perfect piece of furniture in your living room. As MAYA two seat sofa, its green/lime color was taken from one of the primary elements of Mayans culture, the maize. Represented as a tree of life in Palenque, Maya´s Maize God was also personiﬁed as woman. MAYA two seat sofa has the sensual and delicate forms of the feminine being and the strength of a tree of life; this combination makes it the perfect center piece for every living room set. Toast color is one of the sexiest colors! BRABBU‘s piece of KANSAS counter stool represents cowboys of the Texas heading to Kansas. KANSAS counter stool, in synthetic leather, is a tribute to their courage. Blue is the most popular and liked color by people. 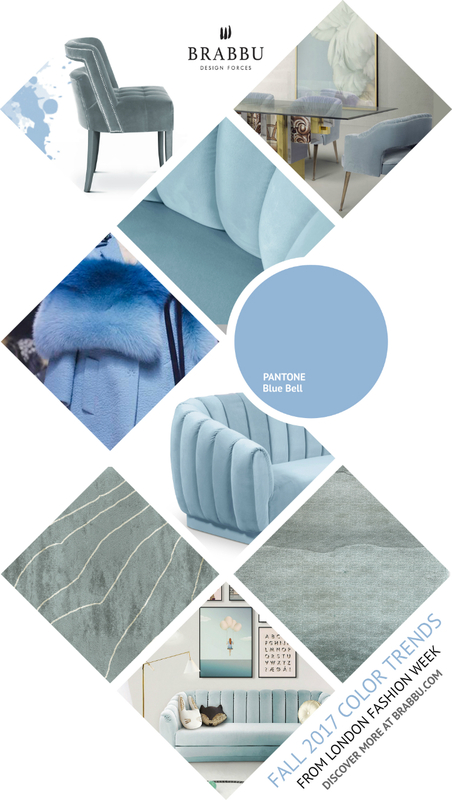 As of for upcoming autumn, blue bell colour is the perfect choice to install into your home this year! 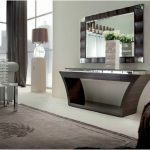 One of the finest pieces of Brabbu, OREAS sofa, was introduced to express the Greek mythology where Oreas is the god of mountains. OREAS Sofa honors this natural diversity and its different shapes and tones. 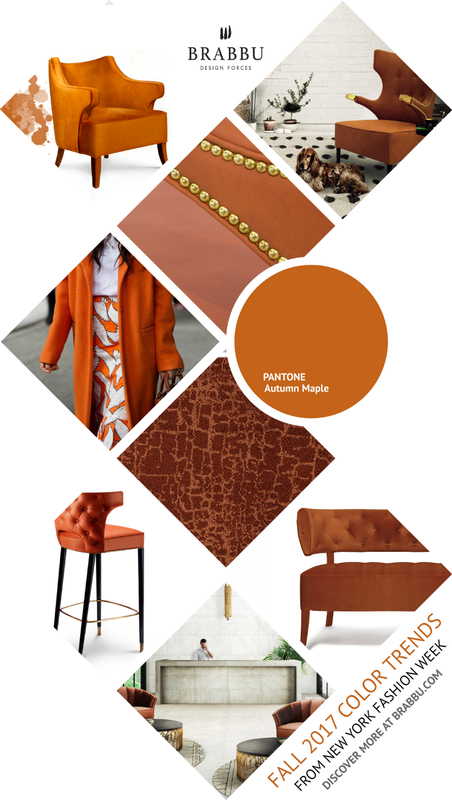 Autumn Maple is another trendy color that will rock this fall! ZULU velvet two seat sofa, a mid century modern furniture piece, is based in one of the elements that ZULU tribe recognizes by being present in a human being – the shadow. It means prestige or personality. ZULU velvet two seat sofa is a simple piece, although its structure and color gives the prestige that only mid century modern pieces have and that the ZULU Culture requires, the velvet softness of ZULU two seat sofa along with the capitone gives more personality to this mid century modern furniture piece, making it an unforgettable piece whether the set where it is placed in. There are even more colors for upcoming fall, but we sorted out the best color trends and introduced only the best colors. The last color that will take the last place in the list is Golden Lime. 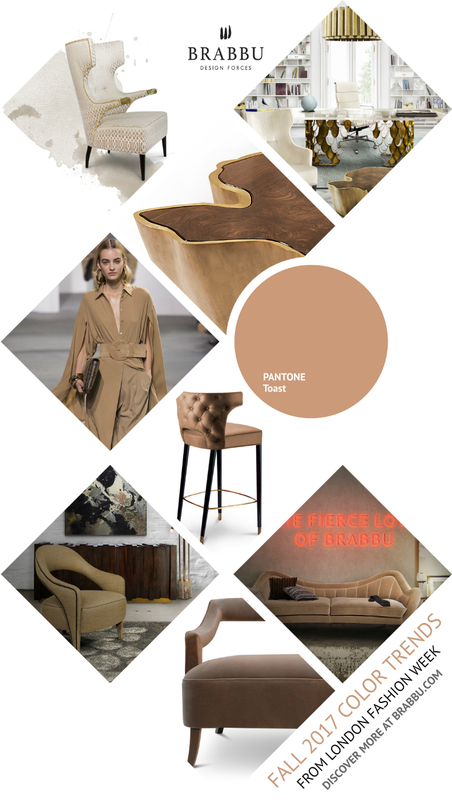 The velvet armchair EARTH brings the movement and the rhythm of the world into a modern home decor. 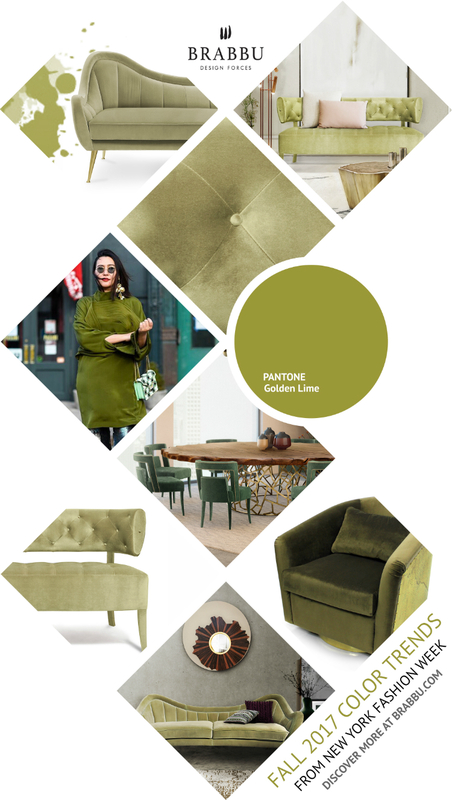 Inspired by the rotation of the Earth around its own axis, EARTH velvet armchair is the balance between the light and the dark, the days and the nights as it is composed by hammered brass and soft dark green velvet, ﬁtting perfectly in every modern home decor.